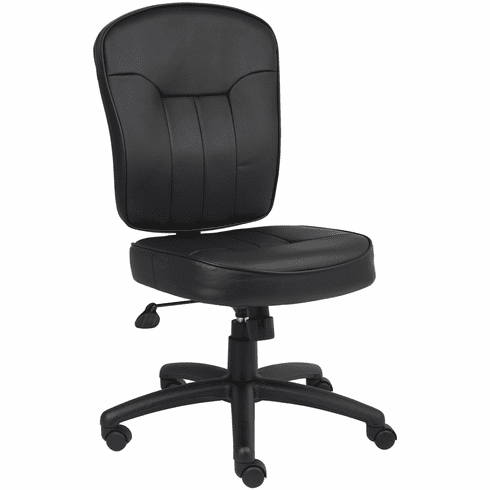 Boss LeatherPlus Armless Task Chair [B1560] Free Shipping! Boss black leather task chair with extra cushy, extra large seat and back cushions, luxuriously upholstered in black LeatherPlus, a polyurethane infused leather that adds softness and longevity. Pneumatic seat height adjustment on a large 5-leg nylon base with casters for both stability and ease of motion.